Right after Tottenham Hotspur got eliminated by Chelsea in the Carabao Cup, Mauricio Pochettino defended his progression since he arrived. Despite having lost the Carabao Cup semifinal with Tottenham Hotspur, absolutely nobody can question Mauricio Pochettino’s influence in the club since he started his journey with the Spurs back in 2014. The Argentine manager has taken a club that wasn’t considered amongst the top English football clubs when he first arrived, and transformed it into a constant squad in the Champions League by always finishing the season in the Premier League’s Top Four. 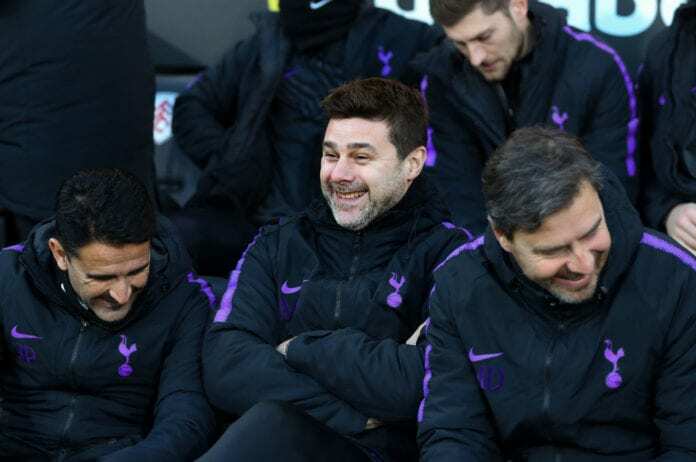 This evolution has taken a few years to complete, but Mauricio Pochettino is the only man responsible that the Spurs are currently amongst the best clubs in the country. Even during challenging times like right now with several injured players, the Tottenham manager always finds a way to motivate his players and get the very best performances out of them regardless of how low they are on the club’s food chain. Not having either Harry Kane or Dele Alli against Chelsea and still taking the game to penalty kicks, is solely Mauricio Pochettino’s credit because he was the one giving a motivational speech to the players during half time. During a press conference after getting eliminated by Chelsea in the Carabao Cup semifinals, Pochettino defended himself by saying the following. “I remember when we arrived here, [people asked], ‘If we don’t play for the Champions League or we don’t achieve the Champions League, how are we going to keep our best players? '” he told UK newspapers via Four Four Two. “The problem is, at the moment the team needed the last push, what happened in this process, in this club, with this generation of player? We build, we build, we build but then White Hart Lane was gone, we moved to Wembley,” he added. Despite being eliminated from one of four competitions they are playing this season, Tottenham Hotspur still has a major chance to compete for every trophy they are currently playing. Even though Mauricio Pochettino deserves all the credit for keeping his club competitive enough to remain relevant against any rival, there is an evident level gap between the Spurs and other major clubs in European football and they will remain as such if the club’s board of directors don’t act accordingly by signing more competitive players. Mauricio Pochettino may be one of the best managers in the world, but even he can get tired of constantly attempting to take the club to success when the club’s owners are not supporting him when he needs it the most. If chairman Daniel Levy doesn’t realize that he needs to start delivering better transfers to the manager, Pochettino’s patience will run out and he will ultimately accept an offer from a greater club either in England or another country from a different major competition. Tottenham is still in time to convince the Argentine to stay, but he won’t keep his patience for much longer. How much longer can Mauricio Pochettino remain as Tottenham Hotspur’s manager with no new players before leaving the club? Please share your opinion in the comment section down below.